Stressed out? Freaked out? Burned out? Strung out? Bummed out? 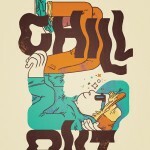 Why not Chill Out instead?